All Fairfield homes currently listed for sale in Fairfield as of 04/25/2019 are shown below. You can change the search criteria at any time by pressing the 'Change Search' button below. If you have any questions or you would like more information about any Fairfield homes for sale or other Fairfield real estate, please contact us and one of our knowledgeable Fairfield REALTORS® would be pleased to assist you. 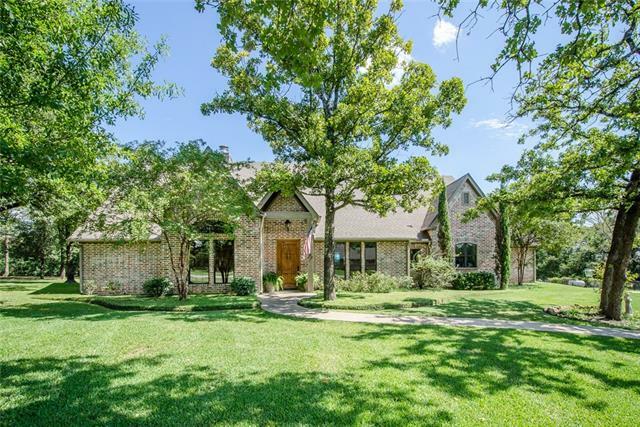 "Stunning custom home on 1.3 acres with pool. This 2,800 sqft beauty is perfect for entertaining with the open floor plan, gourmet kitchen, formal dining & outdoor living space. Kitchen features double ovens, warming draw, Sears Pro appliances, 6-burner gas cooktop, oversized island with farm sink & plenty of cabinet space. Huge master suite with custom closet, jetted tub, his & her vanities & walk-in shower. 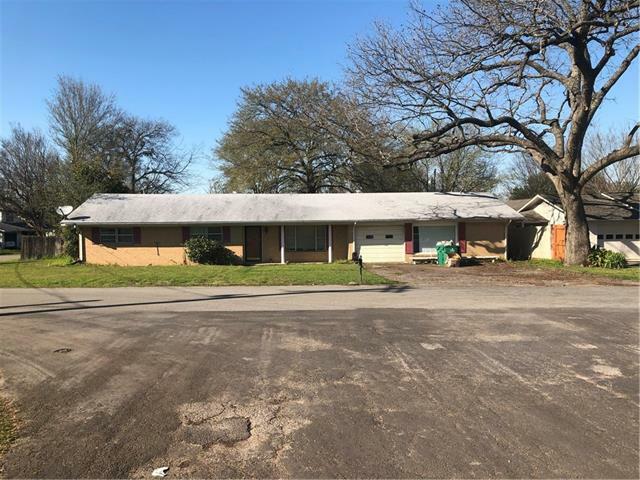 Two large secondary bedrooms, 3 full baths, tankless water heater, 2x6 walls, 2 heat pum"
"Gorgeous 2 Story Home just North of Houston and South of DFW. 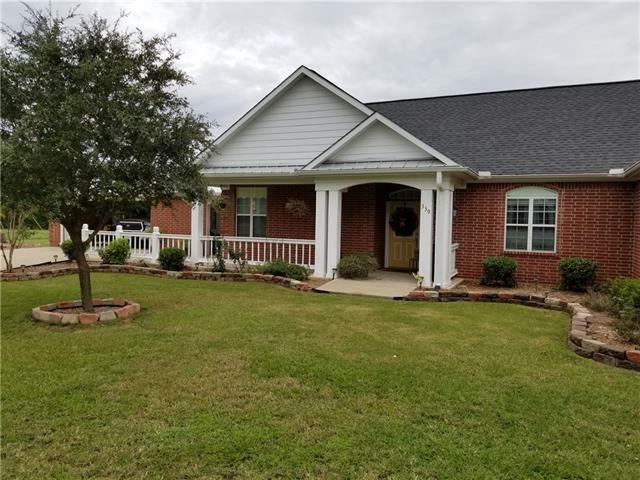 You are in the center of everything you need.This custom 3 bed 2 bath Home on 5.42 acre,with the master bed, loft, office, sun room located upstairs, and two bedrooms downstairs. 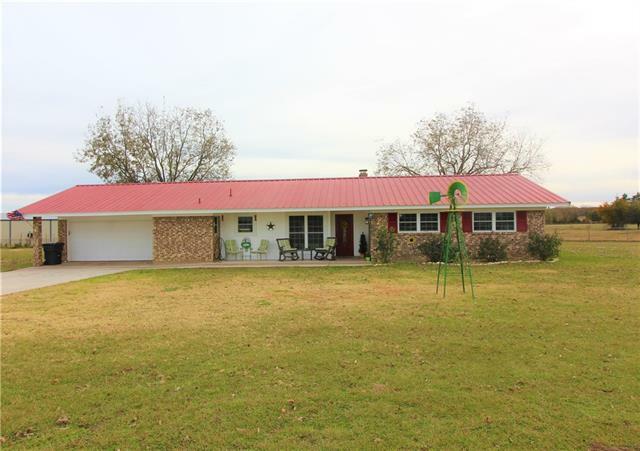 This property also includes a six stall barn, shed, small storage building, and a stocked pond." "Custom built one owner home on 10 Acres(+-). 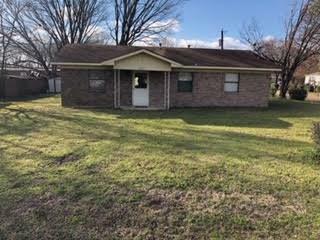 Just outside the city limits & convenient to Jr.&Sr. High Schools. This is a 2 story home. The first level consist of an office, dining room, open floor arrangement with a living area that boast high ceilings, kitchen & breakfast room, laundry room, spacious MBR & bath that has a garden tub, walk in shower, walk in closet, linen closet, & 2 sinks with a large vanity space. Attached garage ceiling & walls are insulated. As you climb the beautiful s"
"Custom built home on 14 +- acres. Open floor plan with tile flooring throughout. Living Rm focal point is a built in electric fireplace flanked by wood cabinets with glass doors & shelves. There are beautiful granite countertops & solid wood cabinets in the kitchen. The cabinets have chrome pullout drawers & shelves & there is a large walk in pantry making organization easy. The home has a split BR arrangement. The master BR bath has dual sinks, whirlpool tub, walk in shower, & walk in closet." "Beautiful home with guest house giving you the absolute homey feel. 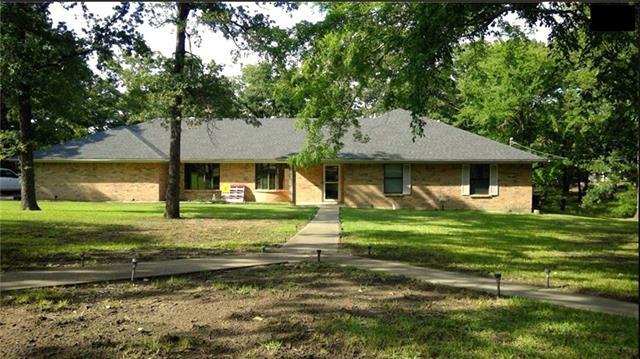 Main home features an open living concept with large living room & brick fireplace; kitchen with island & dining area. Master suite has dual sinks & 11x6 walk in closet; 2 secondary bedrooms & full bath with dual sinks. Also includes large utility room, 2 car garage & two spacious 11x4 storage rooms in garage. 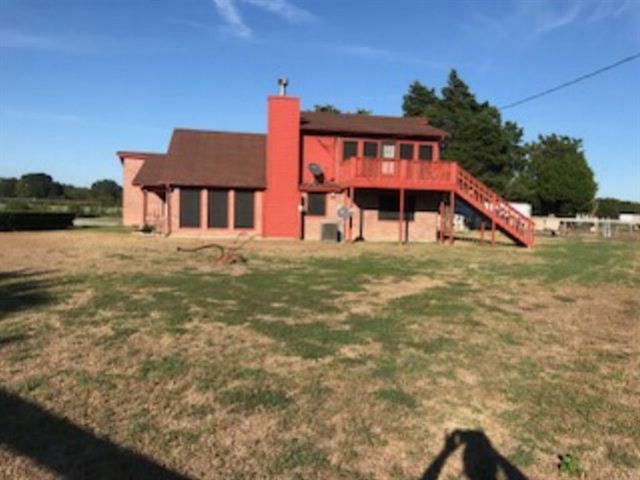 Not to mention the beautiful guest quarters with its own private entrance attached to the main house with spacious livin"
"Nice ranch style home on 5 acres in Fairfield. 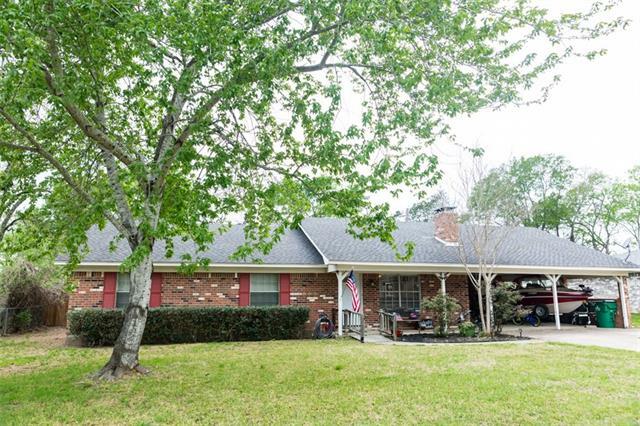 This beautiful brick home has a metal roof situated under huge oak trees that offers a beautiful setting. 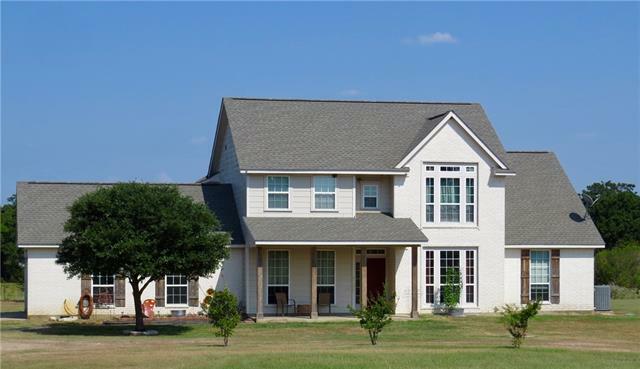 There are laminate floors, painted walls, nice cabinetry, a brick fireplace, 3 large bedrooms, office, 2 and 1 half baths. The dining room and the kitchen are all open concept that make this home so inviting and comfortable. There is a large RV metal building, metal boat building, metal building workshop all on concrete slabs. 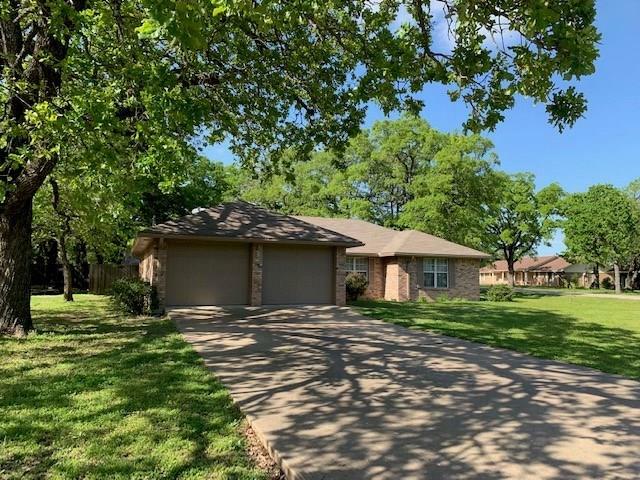 There is a dog "
"Two beautiful lake lots with an abundance of shady oak trees is home to this spacious lake view home. Features 4 bedrooms, one which could be used as a 2nd master, mother-in-law suite, or private guest room. Remodeled open kitchen features solid surface counter tops and decorative lighting above bar. Built-in shelving and cabinets in living room, and wood burning fireplace greet you as you enter from the back deck. The formal dining room is located next to the kitchen. The deck runs along t"
"Beautifully updated home with custom cedar trim & wood accents sitting on 1.69 ac & fully fenced. This gorgeous kitchen offers granite countertops undermount sink wonderful cabinetry all appliances less than 1 year old. Large cozy livingroom features woodburning stone fireplace with wall to wall hearth that opens to a large bonusroom with unlimited possibilities: 2nd living, home office, playroom, craftroom, exerciseroom, man cave & much more. Masterbath has a serene feeling with detailed accen"
"Very nice 3 bedroom, 2 full bathroom, 1 car garage, brick home with updates that include wood laminate and ceramic tile flooring, ceiling fans in all bedrooms, two living room areas, tile back splash in kitchen, composition roof, two fireplace with gas logs, large extra lot great for family activities or building site for house or shop. There is a storage building in the backyard that would be good spot for the lawn care equipment and tools. This property is located within walking distance of "
"Come see this very clean and well cared for home in Thousand Oaks. Light and bright as you enter with plenty of windows looking into the backyard. The master bedroom is split from the other two and offers an oversized master bath, a separate tub and shower and two walk-in closets that will not disappoint you. The big laundry room with a sink and storage closet leads to the two car garage. The kitchen has a nice view from the window over the sink and nice cabinet space. 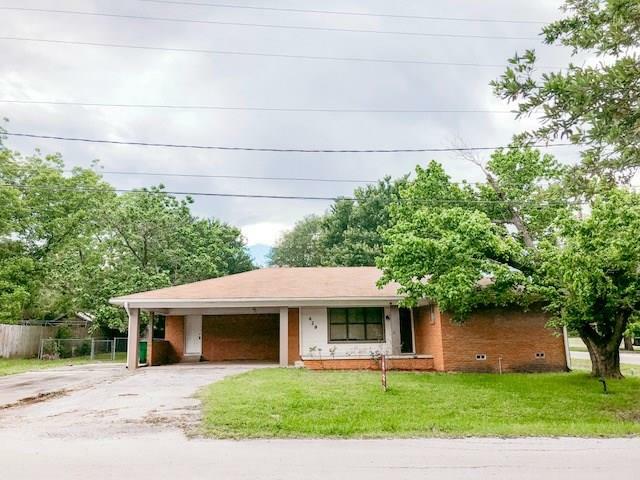 The seller is offering "
"You don't want to miss this adorable 3 bedroom, 2 bathroom updated brick home in a quiet neighborhood. These homeowners have done the hard work for you in this updated home. 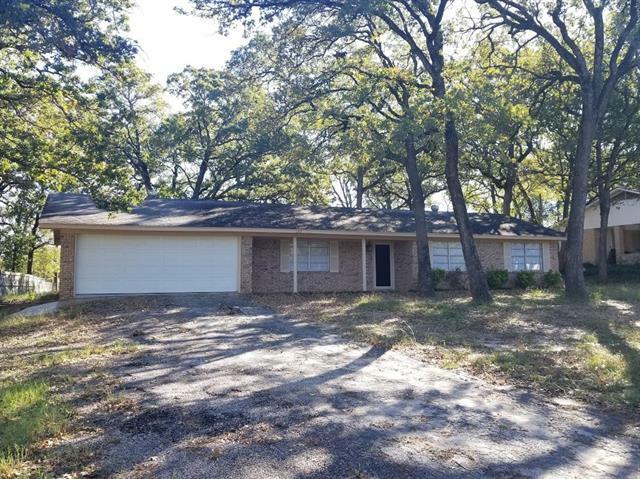 Laminate flooring throughout the house and granite countertops in the kitchen are just a glimpse of the updates you can expect to see in this gorgeous house. Enjoy the view sitting out on the back porch every morning and evening in this quiet neighborhood. Hot days are coming and you will want to be able to take a dip in the"
"Lovely 3 bedroom 2 bath home in an established neighborhood. This home has an open concept floor plan with a breakfast bar. 2 living areas, Formal living room or cozy den to curl up with a good book. The backyard features an in ground pool ready for summer fun. Close to schools and shopping. Don't miss out, come see it today!" 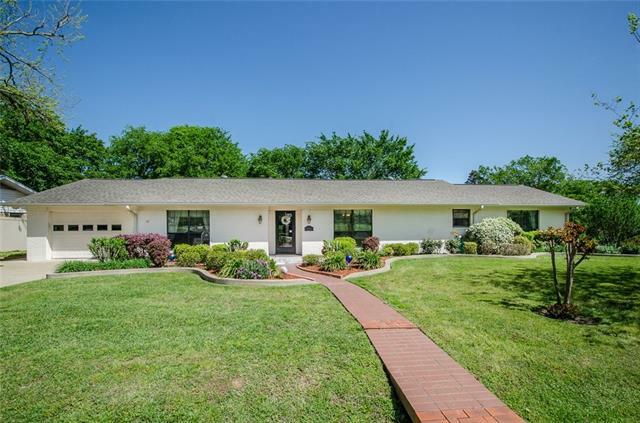 "This home has been completely remodeled. Granite counter tops, all new paint, flooring, and appliances. HUGE lot so there's plenty of room to run around. The rear has an uncovered patio area as well. 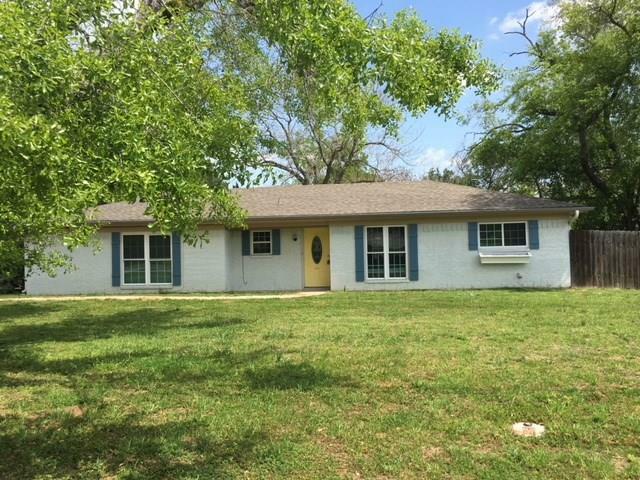 Property is a three bedroom, two bath with two living areas and a dining area. Kitchen also has a bar area as well. You wont want to pass this one up!" "#77 Fairfield-Residential or Commercial 30 X 40 Metal Bldg built in 1998 per FCAD on approx. 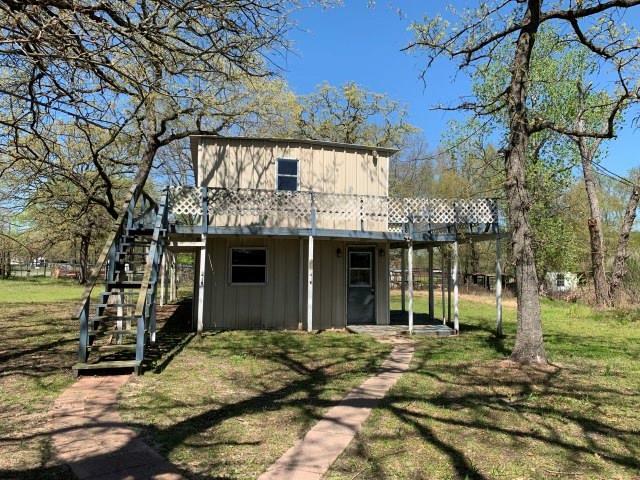 4.855 acres, fabulous location on HWY 84 just east of the city limits, mature trees, fenced, bldg insulated, electric central h & a, bath with tub & shower combo, kitchen area, no load bearing interior walls, remove or move walls to suit your needs, conventional septic, exterior door in front, roll up door in back, TXU, L&T Waterworks, Windstream, no survey available, seller shall retain mineral rights,"
"3 bedrm, 2 bath, 2 carport brick home on a corner lot with a privacy fenced back yard. It has been updated, new windows installed, and popcorn ceiling removed plus many more upgrades. Galley kitchen has many cabinets, decorative tile backsplash & new counter tops. 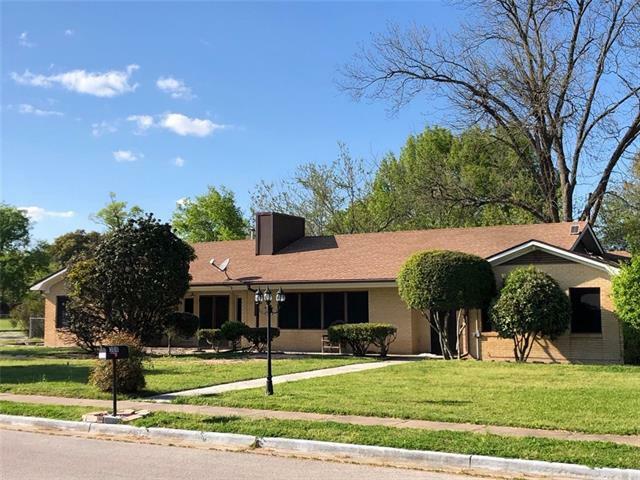 Refrigerator & stove included.The master suite has his & hers vanities with refinished cabinets and new countertops, separate closets, and an office area with upper & lower cabinets. Bedrooms 2 & 3 share a hall bath with an oversiz"
"This two bedroom, two bath has an open living layout, with an enclosed back porch. Updates include granite kitchen countertops, tile, and recessed lighting. The beautiful wood floors have been well-maintained. Spacious outdoor covered back porch for entertaining." "#80 Fairfield 2 bedroom 1.5 bath Frame, Country setting, 1,464 sq.ft. 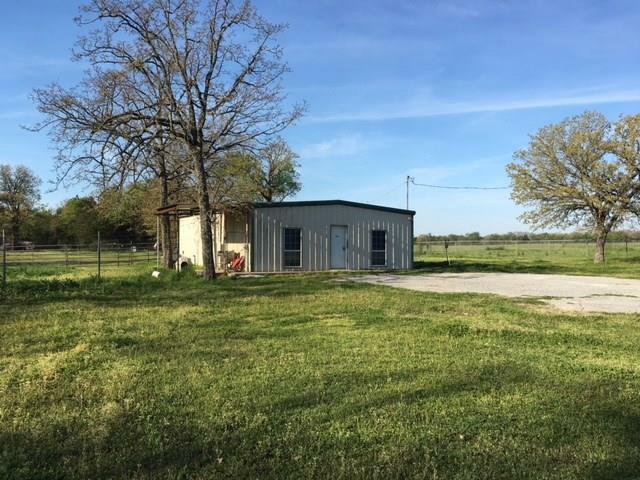 per FCAD & built in 2011 per owner, 24 x 16 bldg and dove-chicken-rabbit pens, 187 FM 1580." 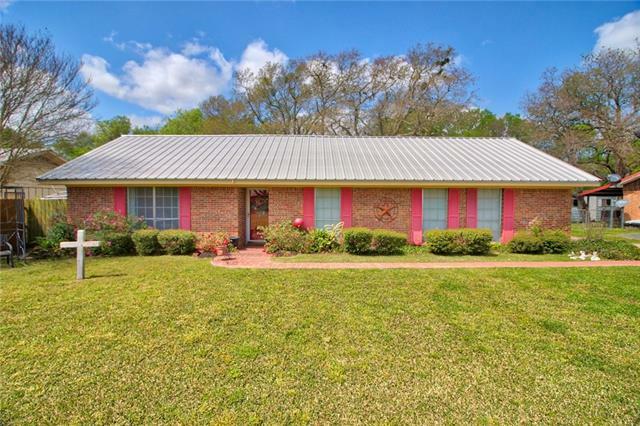 "Located just outside the city limits and near the high school and junior high school. This is a single wide 3 bedroom, 2 bath 1999 Palm Harbor Riverbend manufactured home. The home is nestled in the woods. The owners indicate that they see deer, squirrels, and a variety of birds. There are trails winding through the woods. There is a storage shed and detached metal carport. There is an aerobic septic system and L & T Waterworks, LLC provides water to this area. 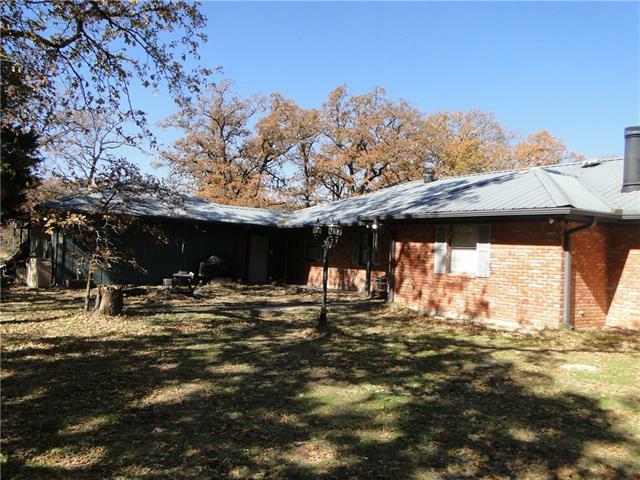 There is approximately 286 "
"Great piece of property in Fairfield TX. 2 lots with large beautiful trees, double wide mobile home. Sold as is. Would make great property to build on as well! Close to town!" 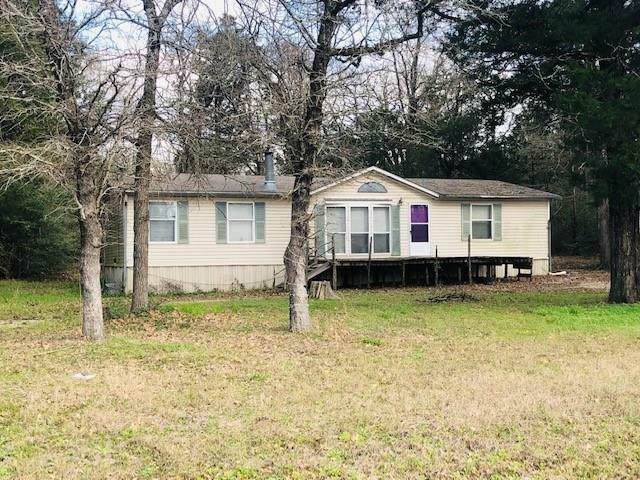 "3 bedroom 2 bath fixer upper has a lot of potential with open concept floor plan, separate laundry room with storage, area in garage that was once a living area with plumbing. There is a large back yard and peaceful neighbor hood. Home's foundation has been leveled and warranted, french drains installed around the front and sides of the home." "This could be your Next Home or a Great Investment Property! Open Floor Plan. Needs some TLC. The cook will love having a Gas Stove and the Refrigerator will stay. Large Corner Lot. Good Location with Easy Access to main highway. Convenient, Covered Parking. Call today to schedule your appointment!" 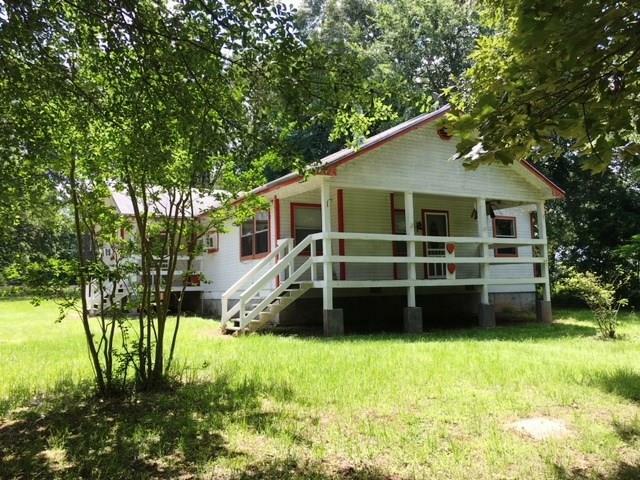 "3 bedroom, 2 bath 2 story home sitting on 2.34 acres. Lots of room to enjoy the outdoors! Nice mature trees provide tons of shade! Put on your thinking cap and bring your ideas! Lots of potential to make this one your own!"